What proceeded was an extensive redevelopment plan for the facility which represents the single largest upgrade in the circuit's 54 year history. Alterations included a complete resurfacing of the circuit to international specifications, changes to the circuit layout, upgrade of circuit safety, improvement of all spectator areas and a major refurbishment of the pit building which now includes world class venues and facilities. The new 4.522km Grand Prix circuit has been certified by the Federation International de l'Automobile (FIA) as a Grade 2 race track, conforming to stringent international safety and quality standards. Kyalami is the only current motor racing facility on the African continent to have been bestowed with such prestigious accreditation. Kyalami Grand Prix Circuit & International Convention Centre stands proud as the preferred destination for a wide variety of public as well as private events in the growing metropolis between Johannesburg and Pretoria, and has once again taken its place as the premier motoring and motorsport facility in Africa. The 16-turn, 4.522km anti - clockwise FIA graded circuit takes advantage of the naturally undulating landscape creating a challenging blend of sweeping, fast sections and tight, technical corners which makes Kyalami legendary. With an impressive 1.111km length and 8m width, the track has been designed for advanced driver training. It has the flexibility to divide into two separate circuits that can be used independently, or connected together to form a longer handling circuit with a variety of corners and gradients. 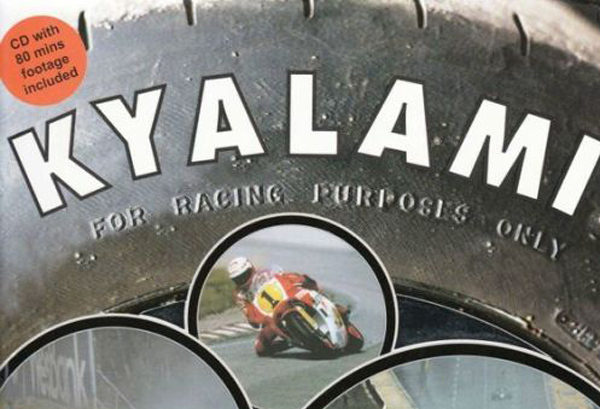 A new 'coffee table' book, designed to delight fans of the old Kyalami circuit, is now available for order directly.